Post Irma Information: We have plenty of stock, so if you experienced issues with your door or gate, call today! *Master Authorized Clopay Dealer* When Florida Gulf Coast residents look for garage doors and repairs, gate systems and doors, and security gates for residential and commercial properties, they think Action Automatic Door & Gate. That’s smart because for more than 40 years Action Automatic has become known as the door and gate experts that offer more: more choices, more service, more product knowledge. In fact, we’ve not only set the standard in the industry but have raised the bar to meet the demands of today’s homeowners and businesses. From Clopay® garage doors, LiftMaster® door openers and gate systems, and LifeStyle Screens® and Titan screens for garage door openings, Action Automatic has the experience and expertise to install, service and maintain whatever you need. Plus, same-day service and all the parts for all brands of garage doors, openers, and gate entry systems. So wherever you are in Southwest Florida — from Sarasota, Port Charlotte, Punta Gorda and North Fort Myers, to Fort Myers, Cape Coral, Lehigh Acres, Estero, Bonita Springs, Naples and Marco Island, we have you covered. Action Automatic Door & Gate. Allied Doors West Florida, Inc. has been serving Southwest Florida’s garage door needs since 1991. We are a family owned and operated business who specializes in garage doors, garage door openers and garage door repairs. Allied Doors West Florida, Inc. is one of the largest sellers of garage doors and garage door openers in Southwest Florida and our commitment to customer service is unsurpassed. Roy North started as an installer for a small garage door company in 1969. He and his wife, Marcena, bought the business after the owner retired in 1972. He was then joined by his oldest son David who started working for the company right after his high school graduation. Soon after, David's siblings (Darrel, Darrin, Connie, and Carol), and close friend Brent Butzin, also joined the company. When Roy and Marcena retired in 1992, their children and Brent became co-owners of the business and David became the president. 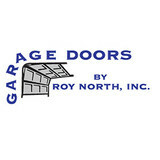 At Garage Doors By Roy North, you'll get exceptional service from our team. We'll help you select from a wide range of high-quality garage doors. No matter what your specific needs are, we've got something that looks good and within your budget. Serving the Southern Lee and Collier County, Florida areas, including the cities of South Fort Myers, Estero, Bonita Springs, Naples and Marco Island. 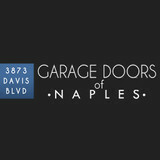 Garage Doors of Naples specializes in the sales and service of many of the industries leading garage door companies. At Garage Doors of Naples, our goal is to provide the best service and product knowledge possible to our customers, both retail and contractor. The knowledgeable sales staff of Garage Doors of Naples can help you select the perfect garage door and opener for your home or business. A commitment to quality goes beyond products, with expert installation and service after the sale. For garage door service and repair our technicians will quickly assess the problem and provide a solution. Broken springs, damaged or broken cables, damaged door sections and garage door opener problems. Our service technicians will be ready when you need them. Serving Collier and southern Lee County. For more information about Garage Doors of Naples and the value we can offer to homeowners, homebuilders, business owners, and contractors we invite you to view the many products and services profiled within this Web site. Better yet, visit our showroom at 3873 Davis Blvd. in Naples Florida to see working models first hand. For additional information, contact a Garage Doors of Naples representative at 239-261-6199 to arrange a no-cost consultation at your home or business. Storm Shutter Warehouse is committed to protecting your home, family or place of business. We are a distributor of hurricane products meeting the current Dade County and Florida Building Codes. We are located in SW Florida and supply products to commercial or residential customers. We offer custom size roll shutters, accordions, storm panels, hurricane screen, Bahama & Colonial shutters, as well as, Impact Windows, Doors and Garage Doors. We strive to be the best in our industry and offer top quality customer service. Storm Shutter Warehouse designs, manufactures, and installs code approved custom made shutters for your home or business. Custom designed storm protection for any window, door, or desired area in any size or shape, we can do it all. Based in Naples Florida, Invis-a-Beam LLC is a company that has developed long distance precision alignment systems and vehicle parking systems using advanced infrared technology, state of the art electronics, advanced optics, coupled with innovative software techniques. When it comes to the garage doors of your house, your safety, and family, you can't be too careful. We've built our reputation on the installation and repairs of the industry's most comprehensive and technologically advanced garage doors and openers that keep your home, and everyone in it, safe and secure. From Garage Door repair to a Garage Door install we do it all, so if your door is noisy don't wait till its too late call today. We offer quality and professional service for all your residential or commercial garage doors and gate operating needs . We hold a line of steel garage doors, insulated garage doors and garage door openers parts. We operate in Miami / Broward, Lee / Collier, Orlando / Orange and surrounding area. We can provide complete and total residential services to meet your garage door repair or installation . If you are experiencing any kind of problems with your door or operators. In addition to sales, , repair and installations, we provide you with an extensive maintenance for your garage doors or gates most problems can be solved without door replacements , you may just need maintenance or replacement parts. Homeowners often underestimate the aesthetic value of garage doors, but they’re actually a great opportunity to boost a home’s curb appeal. That’s where garage door sellers and installers come in. Whether you are building your first home or remodeling an existing one, a garage door dealer in Vineyards, FL can help you choose a stylish garage door that will enhance your home’s exterior and provide security for your car and belongings. What kind of services do Vineyards, FL garage door dealers and installers provide? Find garage door sellers and installers in Vineyards, FL on Houzz. Narrow your search for Vineyards, FL garage door sellers and installers by selecting the nearest city or zip code. Look at portfolio and product photos, and read reviews to find the best Vineyards, FL garage door professional for your home.